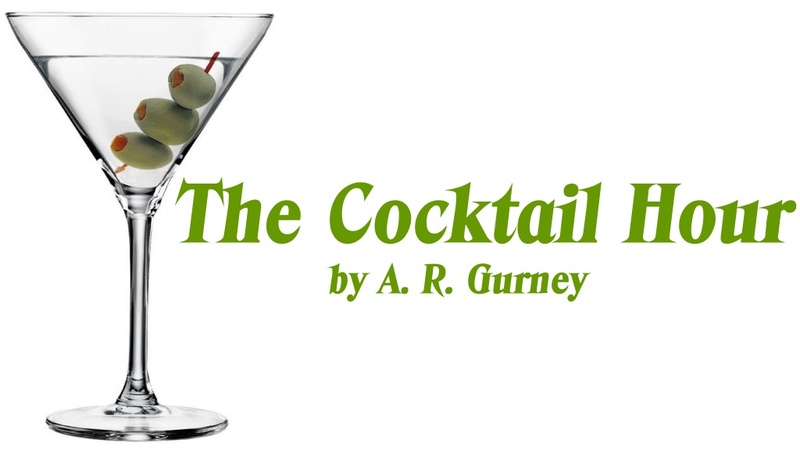 For the first production of our tenth year the Westside Theater Foundation presents A. R. Gurney's The Cocktail Hour at the Strand Theter in downtown Vicksburg. The time is the mid '70s, the place a city in upstate New York. John, a playwright, returns to his family's house, bringing with him a new play which he has written about them. His purpose is to obtain their permission to proceed with production, but his wealthy, very proper parents are cautious from the outset. For them the theatre is personified by the gracious, comforting era of the Lunts and Ina Claire, and they are disturbed by the bluntness of modern plays. And there is also John's sister, Nina, to contend with, although her reservations have to do with the fact that John has given her character such a minor role. 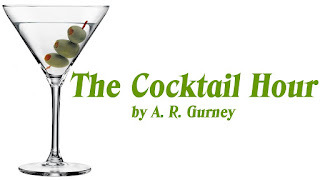 Their confrontation takes place during the ritual of the cocktail hour, and as the martinis flow so do the recriminations and revelations, both funny and poignant. In the end it is evident that what John has written is closer to the truth than his family has heretofore been willing to admit, and that beneath their WASP reserve his parents and siblings are as beset with uncertainties and frustrations as their presumed "inferiors." But while they seem shackled by the past, and tantalized by an alien future, the ties which bind them do prevail—surmounting disputes and disappointments and, with unfailing warmth and humor, converting pained resignation into cautious but hopeful anticipation. Winner of the Lucille Lortel Award as Best Off-Broadway Play. A long-run New York success, this witty, perceptive play blends mordant humor with moments of affecting poignancy. "THE COCKTAIL HOUR is as funny and moving as The Dining Room…it could be the best play he has done so far." —The New Yorker. "It makes for a deliciously funny and also occasionally touching evening, as Gurney's family sit around raking over old coals and settling old scores with a quite new and beguiling freshness." —NY Post. "The lines in the play crackle and pop with an electricity all their own." —Drama-Logue. "…when I watch Gurney at his best, as he is here, I laugh through the tears." —NY Daily News. Advance tickets are available at Highway 61 Coffeehouse for $10. Tickets at the door: $15.